Dubai International operator Dubai Airports predicts the rapidly growing hub airport will handle 66 million passengers in 2013, compared with a forecast total of 56.5 million for this year. 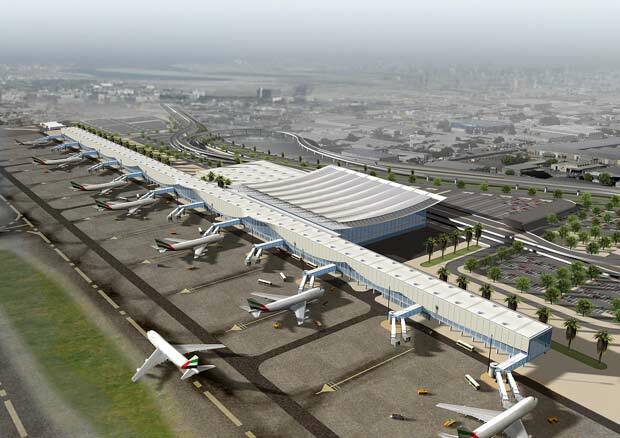 Dubai Airports says passenger throughput hit just over 4.87 million in November 2012, marking a 10% increase compared with the same month a year earlier. The airport - which serves as the home base for Emirates Airline - has posted double-digit growth in passenger numbers in all but two months of the year so far. "We are all set to surpass our target of 56.5 million passengers [for 2012] by a margin, taking us closer to operating Dubai International at full capacity," says Paul Griffiths, CEO of Dubai Airports. "It is no coincidence that Concourse A, the Airbus A380 facility that underwent operational readiness trials recently, will open in early 2013 providing much needed capacity," he adds. Concourse A is part of the Terminal 3 complex which will increase Dubai International's annual passenger capacity from 60 million to 75 million. Year-to-date traffic for November was 52.4 million compared with 46.3 million for the same period last year, representing an increase of 13.1%. Aircraft movements in November increased by 2.3%, to 29,700, while year-to-date movements were up 5.6% to 313,000. Dubai International handled 200,060t of cargo in November, an increase of 4.4% compared with the same month in 2011.